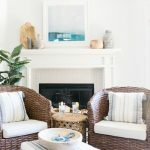 When I shared my fall mantel, I shared with you that I’m not fussing over too much fall decorating, this year. I’m adding simple fall decor to my home by updating my mantel. I will also add a few pumpkins to my porch because like every woman in American, I can’t resist a pumpkin this time of year. After talking with many of you on Instagram, I learned that most of you don’t deck your homes out for fall either. In years past I’ve done other simple fall decorating that can be done with little money or even with what you have. 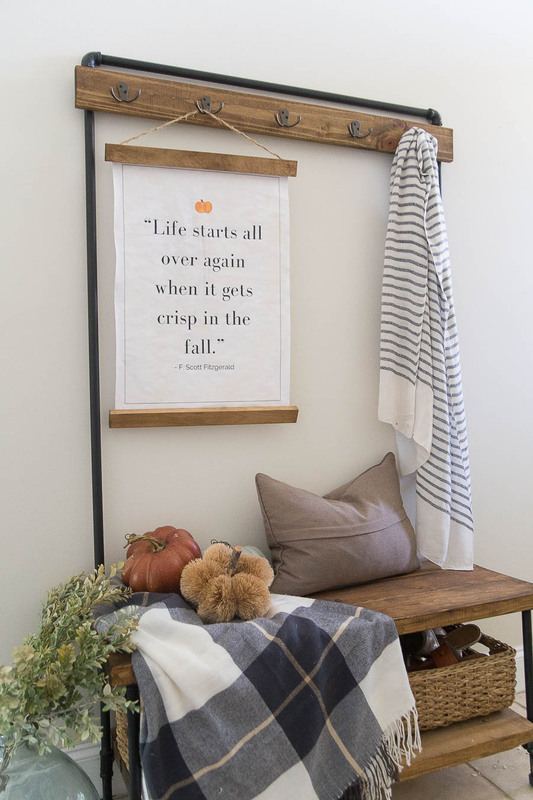 Today, I’m going to share some tips for adding simple fall decor to your home in hopes of inspiring you to bring this renewing season of fall into your home. I love the idea of using non-traditional colors for traditional seasons. 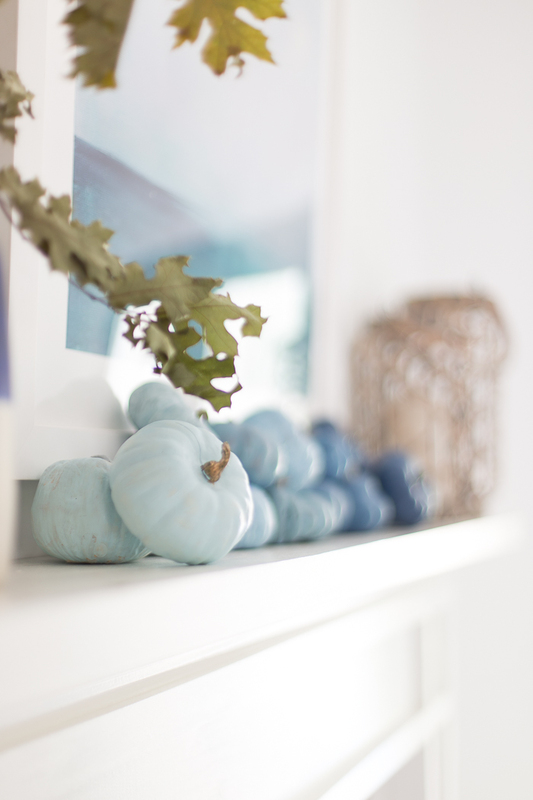 Since calming shades of blue and white are my typical favorites, I carried them over into my fall decorating. 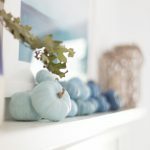 Blue pumpkins are pretty popular right now anyway so I did an ombre collection of mini pumpkins to place on my mantel. 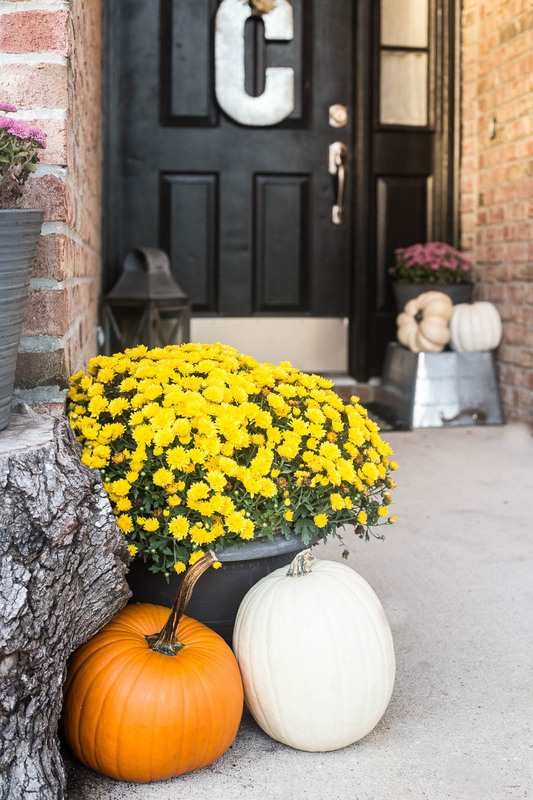 I’m honestly surprised that faux pumpkins aren’t coming in every color under the sun yet (although I have some tips to help you paint your own). I did have to paint these but this project took just around an hour and cost very little money. You can also find gorgeous velvet pumpkins in almost any shade to fit your decor. Instead of adding colors like orange and brown into your decor (unless that’s your thing), you can add the feel of coziness for fall by layering more hearty textures like fur throws or pillows, soft velvety pillows, chunky knits, and wood tones. I keep a stash of fall and winter blankets and pillows (because I am basically a hoarder) and I start pulling them out around this time of year. If you purchase anything, buy items that will transition into the winter months so that you can get the most use out of them. Not only are they insane cozy, they are perfect decorative pieces for fall that are perfect for adding simple fall decor to your home. 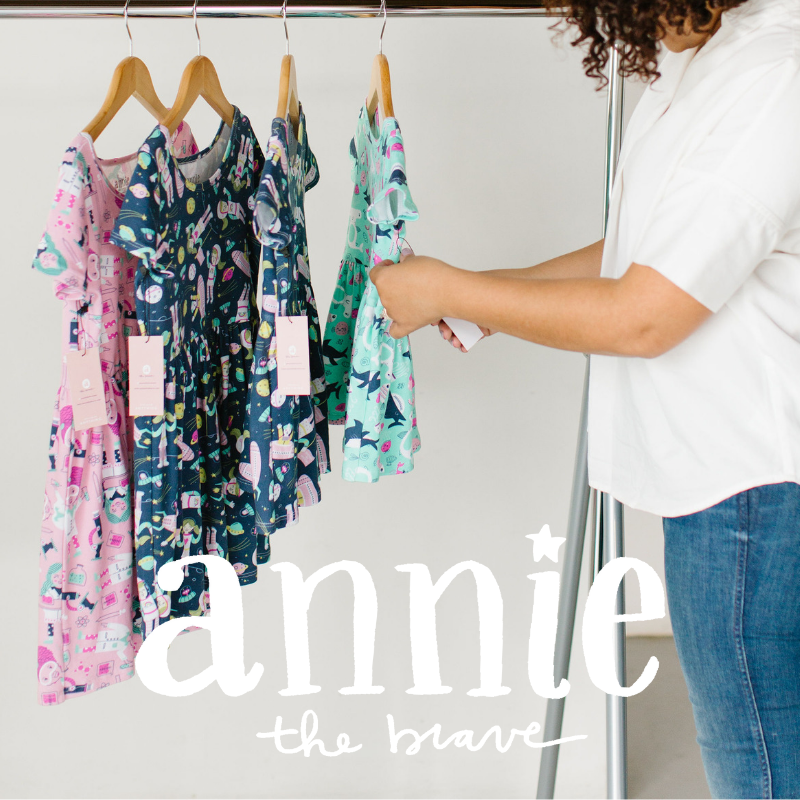 You can use what you already have in your closet and around the house as fall decor. Scarves and blankets can double as a table throw. Riding boots can be the perfect accessory for your front entryway. A market tote can hold some faux greenery. Collect all of the candles from around the house and create a cozy mantel vignette. 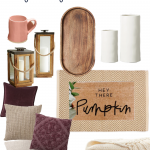 You likely already have tons of darling accessories you can use to decorate your home for fall. 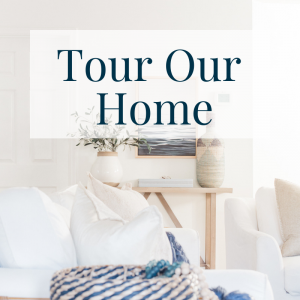 Shopping your own home is often the best way to decorate seasonally. You can decorate without the guilt from purchasing items that are not permanent. I mean, you know you want to. I don’t know what happened in the last few years, probably bloggers contributed to it, but there is an obsession for all things pumpkin this time of year. I’m not saying I hate it because actually, I think pumpkins are the cutest ever. It’s the end of September and basically, every store I’ve been to in the last several days has had pumpkins for sale. Whether you just buy a handful of the cute mini white pumpkins or you head to the pumpkin farm for the gorgeous Cinderella pumpkins, nothing says fall like a group of pumpkins. 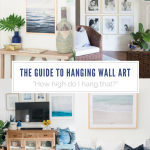 Another way of adding simple fall decor to your home is to add some decorative pieces like wall art or garland. 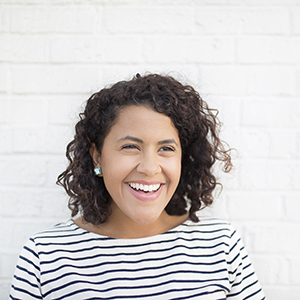 Another great thing about the blogging community is that there are tons of amazingly talented people out there willing to share their talents with us for free. FOR FREE. If you google “free fall printables,” hundreds will appear. Find one (or a few) you love and use them as seasonal artwork. I’ve created several fall printables in past years and I’ve partnered with other bloggers on blog hops to share 20+ fall printables at a time. There’s a variety of printables out there from art prints to printable garland, placemats, thankful trees, and more. You can print this fall printable here. Give me your best tips for adding simple fall decor throughout your home. 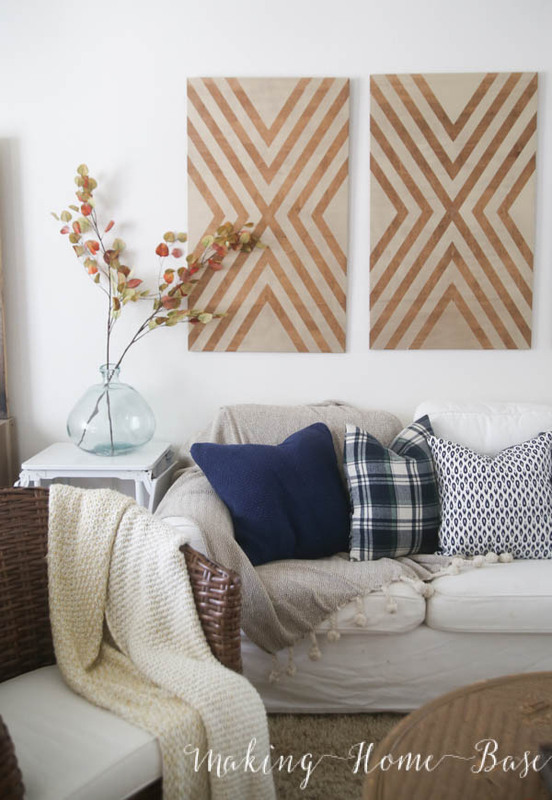 How do you make your space feel cozier without going overboard? 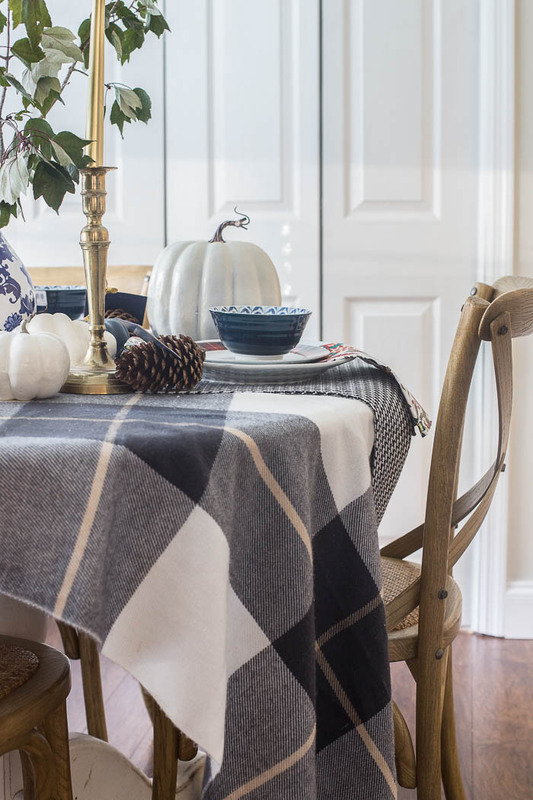 I love your idea of using a throw or blanket scarf as a table cloth/topper and how it adds depth to an otherwise flat surface. Your flannel shirt patterned one is especially adorable (and fall-like! ).